Ray on the Bible › Exploring a Nontraditional Bible › New Articles from Ray › Our Own Unique Terms: Grace, Gospel, Lord, etc. Our Own Unique Terms: Grace, Gospel, Lord, etc. This thread currently has 2,596 views. I arrived at the U.S. Air Force Chaplain Candidate School in Alabama not knowing what to expect. I was entering a new world, the military. With this new world came a bunch of unique terms: airman, TDY, per diem, OER, billet office, mess hall, and many more. Years later when I worked for the U.S. 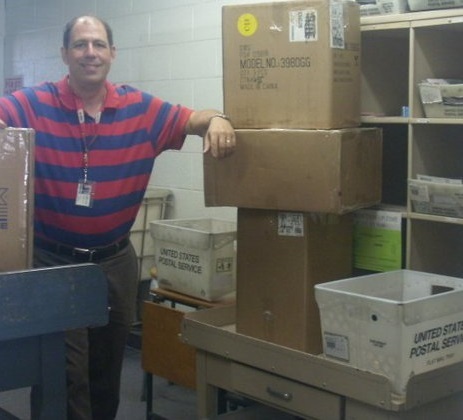 Postal Service, I found the same thing, a place with its own unique terms: PM, PMG, PMR, first class mail, casing mail, receiving scan, and etc. Unique terms make it easier for everyone in an organization to communicate. It is much easier to say PMR than Postmaster Relief, and everyone working at the post office knows what a PMR is. But with this ease of communication comes a drawback. The unique terms hinder communication with people not in the organization. When my friends and family asked me what I did at the Post Office, I couldn't tell them I was a PMR. They did not know what that was. They also did not know what a Postmaster Relief was. I had to explain to them that I was a substitute for the postmaster. In other words, I was the person who runs the post office when the person who normally runs it is not there. Churches also have their own unique terms: lord, grace, saved, world, glory, justify, christ, righteousness, gospel, disciple, and hundreds more. Step into a church and you will be greeted by these words. I grew up with them. I thought everyone knew them. When I was 10 years old, I was walking home from school with my friend. "Are you saved?" I asked. He thought for a while and said, "Yes, we were at the ocean swimming last summer. I was walking out into deeper water. All of a sudden it got deep. It was over my head. I couldn't swim. I was drowning. A man on shore saw me and ran out to me. He saved me. So yes, I am saved." At first I thought that he was joking. He wasn't. Then I thought that he was dumb. How could he not know what I was talking about? I ran into this problem again years later in my eighth grade history class. We had taken a quiz, passed our papers over to our neighbors to score them, and the teacher was going through the answers. He got to the question, "Why did the Pilgrims leave Holland." My neighbor raised his hand and blurted out, "Ray put, to get away from the world. Is that right?" The whole class erupted in laughter. I was totally embarrassed. I had used world the way my church used it. I thought everyone understood. They didn't. I had an intimate relationship with these unique words. I had used them all of my life. I knew what they meant because, well, I just did. I had not learned them from a book or from classes. I just knew them. It was like the English language. I grew up speaking it. I did not need English classes to learn how to speak, and I did not need English rules of grammar to figure out whether a sentence was grammatically correct or not. I just listened to it. If it sounded right, it was correct. I didn't know why. Despite my intimate relationship with my church's unique terms, I started expunging them from my vocabulary when I was outside of church. I did not want to be humiliated again. But I in no way removed them from my life. No, just the opposite, I became obsessed with them. I noted them when people used them in church. I looked them up in Bible dictionaries. I later studied in Bible college and seminary. I obtained a Masters of Divinity degree in New Testament Studies for the sole purpose of learning the church's unique terms better. I knew why we used these words, why we had become so intimate with them, they were in the Bible. But why did the Bible use them? These are not words that communicate to the world outside of the church. As I had found out, people who don't go to church do not know the church's unique words. Shouldn't the Bible use words that communicate its message to everyone? For years I thought that these words were used because they portrayed special spiritual concepts that no other words could portray. This fueled my study into these words even more. After decades of study, I uncovered an interesting fact. Our unique words were not unique hundreds of years ago. The Greek words behind them also were not unique during Bible times. When the early English Bible versions were written, the translators used regular everyday words. These were some of them. They were not unique back then. Time is what made these words unique, not their spiritual content. As time went by, these words were replaced by newer words and would have been lost in time except for the Bible. The Bible still had them on its pages. These outdated words continued to be read in churches even though no one used them or knew how to use them in their everyday life. Since these words were now only in the Bible, people started assigning Biblical meanings to them. For example, gospel, which was a secular word for good news, became the church's unique term for the salvation message. These words that were once normal words with a much wider range of meaning were now specialized Bible and church words. When newer Bible versions were written, they did not replace these words with newer everyday words because they were seen as the Bible's unique words, not as what they really were: outdated words. My education and research revealed a disturbing fact about my upbringing: I learned these words wrong. That intimate relationship I had with these words was full of incorrect meanings. When I said, "Lord, I worship Your name," it meant something different to me than what it originally meant in the Bible. In the Bible, a lord is a master of slaves (the Greek word for lord is translated as master 13 times in the KJV). And worship means to bow down and kiss someone. That is not how I had known these words. There were hundreds of discrepancies between what I thought these words meant and what they originally meant in the Bible. For example, in the Bible, preach originally meant to speak in public, not to preach a sermon. A disciple was a student, not a follower. A christ was an anointed king, not the second name of Jesus. Tabernacle was a tent, not a sacred building. And grace was generosity, not the unmerited favor of God. Shouldn't we understand the Bible's words the way they were originally meant to be understood? We don't. Where do we find the original meanings? Since these unique words come from the KJV, one place to look is 1611 (the year when the KJV was first written). Teleport yourself back to that time, and ask people there what these words mean. It will be an eye-opening experience. But of course, that is not possible. Some dictionaries tell what some words meant at certain times in history. From this it is possible to get a glimpse of what they may have meant in 1611. A more reliable method is to look in the Greek. Greek is key. The New Testament was originally written in Greek. If you have a Greek dictionary (Strong or Thayer), look up your church's unique words and see what they really mean. Few Christians take this simple step. For years I taught the people of one of my churches about these words. Over and over I explained their meanings and gave them modern-day synonyms. At the end of six years, when I was teaching a Sunday School class, we came across the word, grace, in the Bible. "What does grace mean?" I asked. At first no one answered. Then one lady said to another, "Let's see, what does Ray say grace is? I don't remember." That taught me a valuable lesson: many Christians could care less what the Bible's unique words really mean. As long as they can use them in a sentence and have their own idea of what they mean, they are fine. If Christians don't care that they misunderstand the Bible's unique words, what can be done? I see only one solution: get rid of the words. Isn't that the obvious thing to do? Why are we using words in church that give the wrong idea? Why are we using words that must be explained? Why not use words everyone knows? I looked for a Bible version that updates these outdated words, but I couldn't find one. So I wrote the New Testament: Breakthrough Version. It uses everyday words that everyone understands. Isn't that the way the Bible should be? Before a person can properly understand the Bible, it must be in words that are not misunderstood.